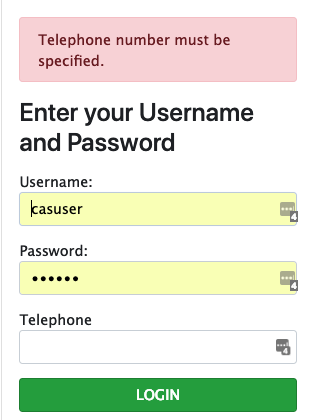 How does one include additional fields into the login form and get access to field data in a custom CAS authentication handler? If this feels a bit uncomfortable, let’s dig deeper to see how CAS might accommodate this use case in more official ways. 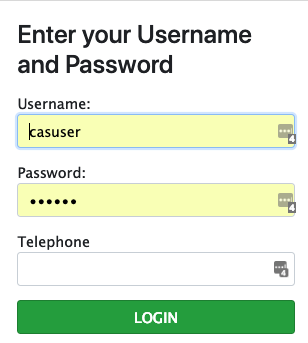 CAS presents the ability to augment the login form to include additional custom fields. These fields are taught to CAS using settings that describe modest behavior and tweaks for each and are then processed by the Spring Webflow engine to be bound to the object model that is ultimately in charge of handling and managing user input. customFields[phone].required=Telephone number must be specified.